If you take a look at, say, a Lego section and browse the products, you will see a vast array of occupations and careers being featured. From engineers, to the police force, firefighters, chefs, and others, Lego certainly seems to sell a diverse set of products. But the next time you happen to visit a store, try actively counting the number of females featured in the toy sets. And then, the number of females of color. Not that many in comparison, right? This lack of representation is evident, apparent, and unfortunate if you make a conscious effort to recognize it. But the fact is, most people don’t end up noticing it, and instead regard it as the norm in their subconscious. Looked at singly, these are all relatively small problems, but such things are never discrete events. They work together to form one narrative, a narrative that doesn’t only affect tech but the world itself, and a narrative that implicitly suggests that STEM is a male pursuit. But you and I, with help, can fix that. This bias has continued for long enough, and it’s time for a solution. And the new generation of girls are it. We’re strong, we’re smart, and we’ve grown up in the information age. We’re thoroughly acquainted with consumer tech — we were the first ones explaining Snapchat, posting on Instagram, and making YouTube a commercial hit. It’s time to now be the driving force behind the products we consume, and shape the next generation’s aspirations and goals. Let’s be the ones creating the next Snapchat, developing the next Instagram, and meeting with venture capitalists for the future YouTube. With the array of possibilities ahead of us, let us take a chance by diving in together — fighting the gender gap, one girl at a time. You can start in the smallest ways. For example, participate more in your science and math classes at school; take a computer science course if you have one. Ask questions and understand the answers. Read about STEM articles you find interesting, and maybe pick up a coding book. Try to build small websites for fun using basic HTML and CSS (programming languages which nearly every website has). If you disagree with a peer in school on an answer (male or female), stand up for what you believe. It’s okay to be wrong — it’s miles better than being afraid of failure. You can also pursue STEM on a larger scale. Try to start with solving a problem. Are there no computer science or engineering classes at your school? Petition for them! Start clubs, school organizations, and bring like-minded girls around you the same opportunities. Maybe aim to educate others on the benefits of picking up tech skills. If you’re interested in gaining funding or publicity, check out organizations such as the National Center for Women and Information Technology. NCWIT awards a select number of high school girls the Aspirations in Computing award for dedication to tech pursuits. It’s also a great way to seek out mentorship from a woman currently working in a science-related field. If you’d like to learn more about women in the computer science space right now, visit the Grace Hopper Conference hosted by the Anita Borg Institute. It’s hosted annually for three days and is home to some of the brightest minds in tech right now. New fields like artificial intelligence and machine learning are advancing every day, and companies like SpaceX are pushing the limits of software in space. Old technology is quickly being superseded, and new discoveries are constantly being found. STEM is the way our world is going to advance — it’s almost a sure bet. But in order to create that world, that world of progress and innovation, we need diversity, and we need you and me. Girls like you and me are going to bring another perspective, vision, and path. Natasha Ravinand is junior at Northwood High School in Irvine, CA. 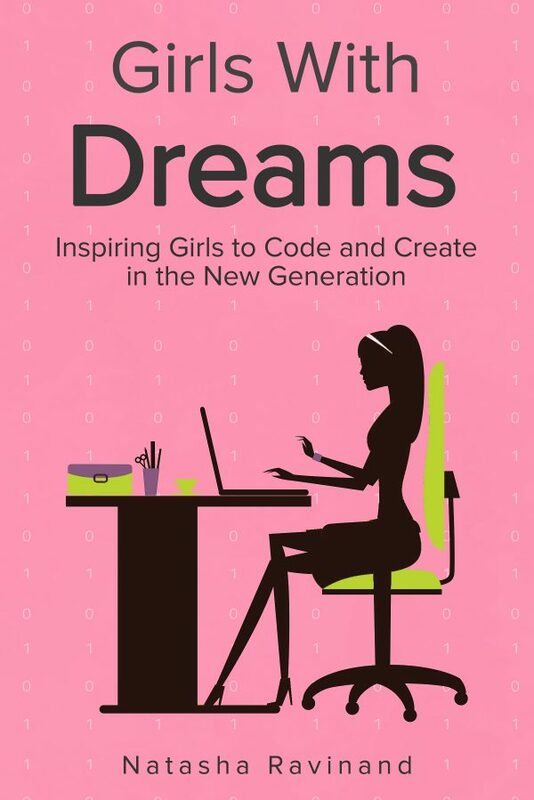 She is the founder of She Dreams in Code, a 501(c) (3) nonprofit dedicated to increasing coding opportunities for middle school girls. 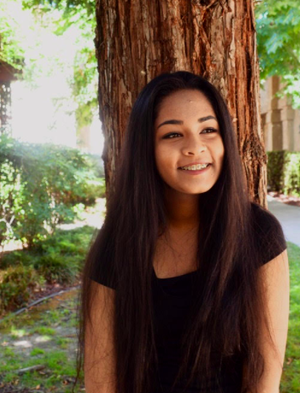 A global coding ambassador for the award-winning women’s platform, Mogul, Natasha was selected as one of the top 50 influential high-schoolers in the world. Natasha frequently writes on her personal website and her piece on James Damore, ex-Googler, was shared with close to a million for its review on implicit bias in the technical workplace. For more information, please visit, http://www.natasharavinand.com/ and connect with Natasha on Twitter, @NatashaRavinand.